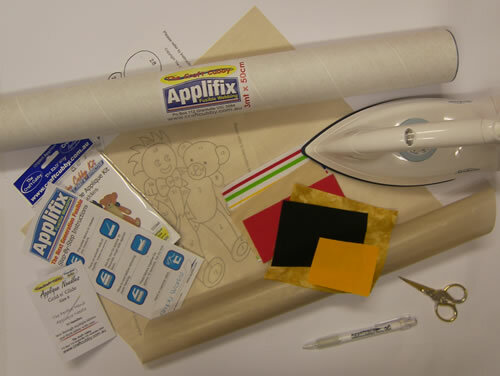 Starting with your reversed breakdown pattern sheet (sheet 1) and a grey lead pencil, trace each piece onto the smooth side of your Applifix® fusible webbing. 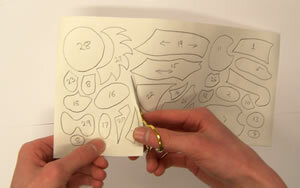 Important - Number each piece. 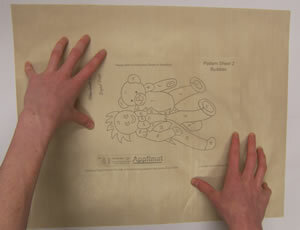 Iron your traced Applifix® onto the wrong side of your selected fabric using a med/hot DRY iron for around 10 seconds. 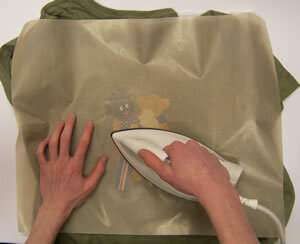 Lift iron up and down - do not slide iron as you would if ironing clothes. When cool cut out shape on the line! 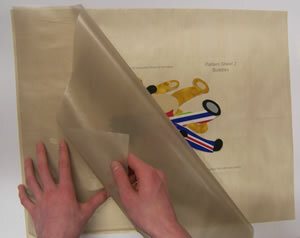 Leave the backing paper on each piece until you are ready to assemble. 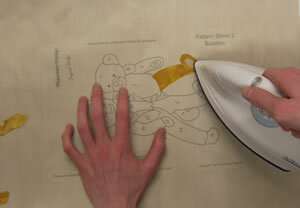 Take your Main Numbered pattern sheet (sheet 2) and place it onto your ironing board. Cover with your Applimat. You can clearly see your pattern sheet through it. Continue until you have completed your pieces. 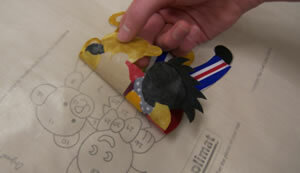 If you make a mistake during the build up process simply peel the pieces apart and 'tack' again. When all pieces are down gently cover your applique with a piece of 'Baking Paper' or another Applimat, this will help to stop scortching. 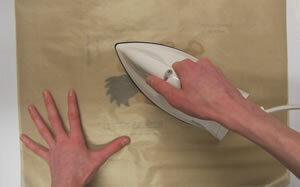 Iron with a med/hot DRY iron for around 10 seconds. 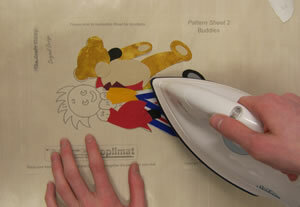 NOTE: Use a Press Down motion with the iron. Do NOT slide iron around as this may move your pieces underneath. 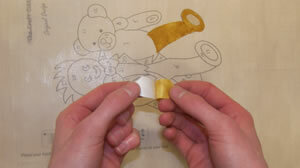 Allow to cool totally before pealing your design off your Applimat. 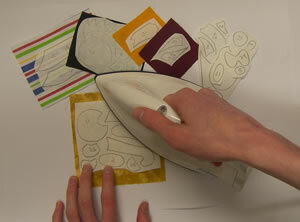 Your applique is now ready to iron onto your desired background. Simply stitch around each piece with a blanket stitch using matching colour embroidery thread.